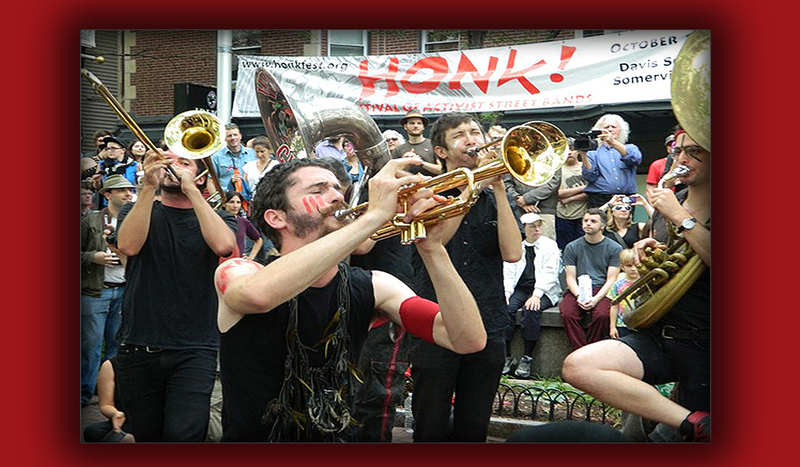 Home > Inside-Out Gallery > Street-wide Symphony of Sound: the Art of HONK! Inside-Out Gallery presents Street-wide Symphony of Sound: the Art of HONK! Music brings people together from all walk of life. And the rousing raucous sounds of HONK embodies that mantra to a T. Every October street performers from all around the country and the world converge to Davis Square for a weekend full of music and fun. To celebrate this annual tradition, The Somerville Arts Council and members of HONK proudly present Street-wide Symphony of Sound: the Art of HONK!—a collective of artists inspired by the festival, bringing their own creative interpretations for all to enjoy.